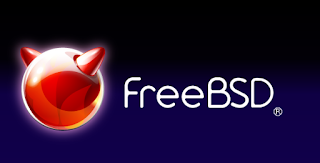 In many time you are facing problem in administering the Email server of FreeBSD. some of these problem is the stuck when the system boot as example mount root. You will bump into a FreeBSD prompt if your system failed to correctly mount your root device. This normally happens when you modify your hardware and the disk configuration changes. It's actually very simple to solve this situation and to get your system up and running again. If you're not familiar with the mount command then this a great time to familiarize yourself. You can read the man page at http://www.freebsd.org/cgi/man.cgi?query=mount&apropos=0&sektion=0&manpath=FreeBSD+6.2-RELEASE&format=html. Solving the problem. When you get the prompt, the dmesg info displayed right above it will pretty much tell you all that you need to know. First, the message will probably be something like it 'couldn't mount root from ufs:/dev/ad8s1a' (or whatever your disk was). And above it, you should see your new disks set up (i.e. ad0 19877 Seagate, ad1 19871 Maxtor, etc). You should be able to recognize your old drive by HD size+brand or some other subtle difference (here we will assume that your drive became ad0 from ad8). In single-user mode, you can look at your current fstab file where the mount devices are specified. Update fstab with the correct disk IDs.